Poster presentations will play a key role in the success of Aquatic Ecosystem Health 2015. Posters selected from abstract submissions will be displayed on poster boards in Ballroom B/C, where all the refreshment breaks will be held. Much time will be available for viewing posters so that attendees can interact and share details of their work, discuss techniques and experiences, and acquire a broader perspective about the aquatic ecosystem. Posters will be limited to a board display space that is 4’10” high x 5’10” wide (1.47 m high x 1.77 m wide). 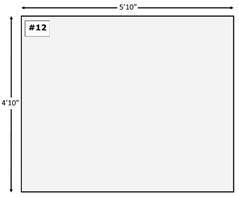 Allow a 4-inch x 4-inch space (10.16 cm x 10.16 cm) for a poster number in the upper left-hand corner of your poster. Each poster will be assigned a number in advance so that you will know where to place your poster. Boards are outlined with a frame, so it is suggested that poster presenters cut back 1-2 inches (2.54-5.08cm) on each side of the final printed poster so it is slightly smaller than the board. Posters must be presented using the poster boards provided by the conference. Poster boards will be freestanding and contiguiously contected. Due to space constrictions, no tables or electricity will be provided. Mounting supplies will be provided. 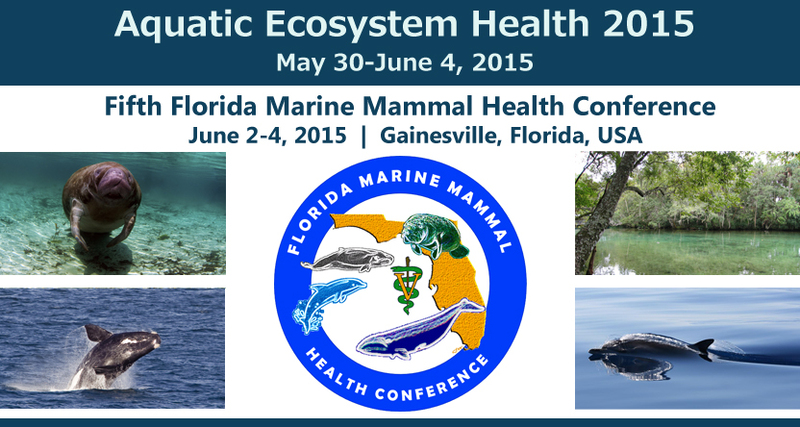 NOTE: All posters will be on display for the entire Marine Mammal portion of the conference. Poster presenters will be asked to stand at their poster during the Poster Session on Tuesday (see below). Boards may be set-up upon arrival on Tuesday, June 2nd any time after this. **Poster display boards will be promptly dismantled and removed on Thursday, so please remove your poster during the assigned time slot. Posters left behind will be discarded. POSTER SHIPPING INFORMATION: The host hotel, Hilton University of Florida, is pleased to offer poster presenters complimentary receiving and storage of materials shipped to the hotel in advance of the symposium. Please note, the hotel will not accept packages more than one week prior to the conference. Click here for detailed shipping and receiving information from the Hilton.